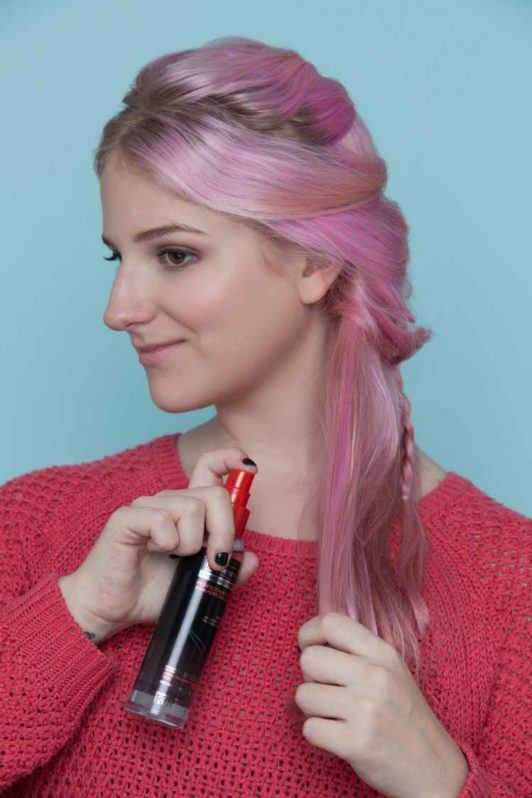 Make like a modern-day siren with a charming mermaid braid hairstyle. 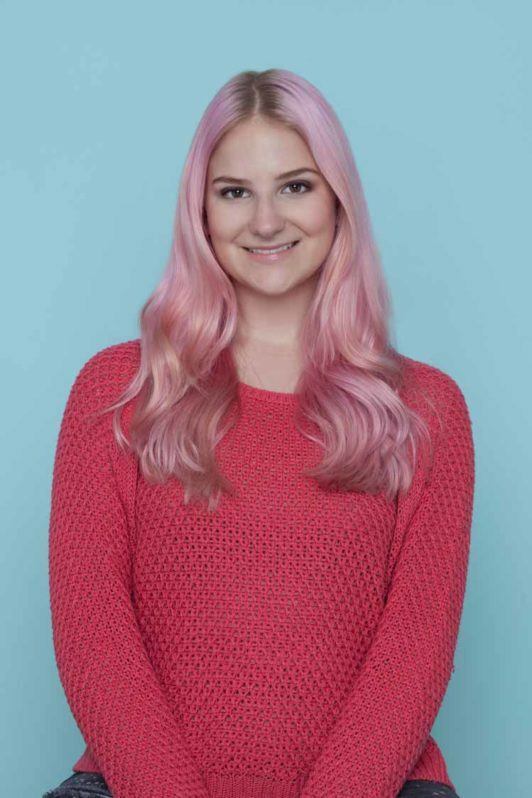 Now that every other gal in town is rocking some candy-floss locks, what’s a true mermaid hair aficionado to do? Make it a mermaid braid, that’s what. Call it the world peace answer of hair—Braids have this uncanny way of elevating all kinds of hairdos and instantly making them look more stylish, more savvy, more everything in our humble opinion. The mermaid braid hairstyle is basically a half-updo (yeah, still not over it) with a lazy French braid. 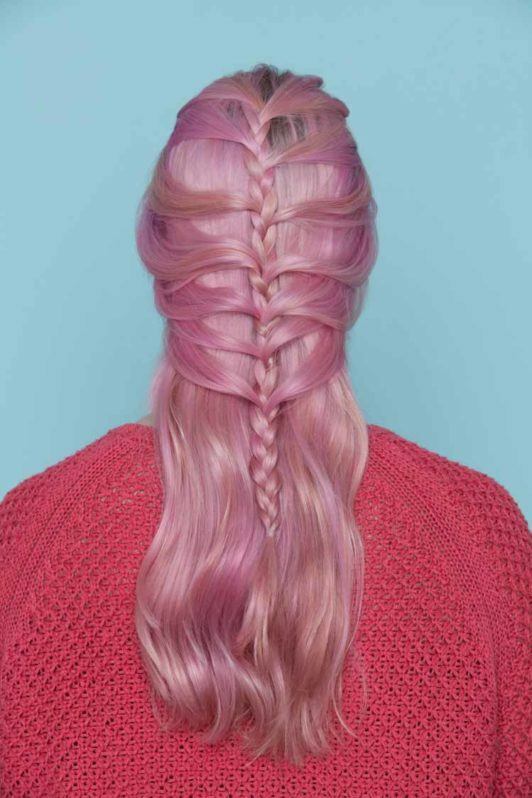 Since no actual mermaids were present for comment, we’re assuming this super-twee look gets its name from the herringbone or fishtail-like sections of hair from each side of the plait. 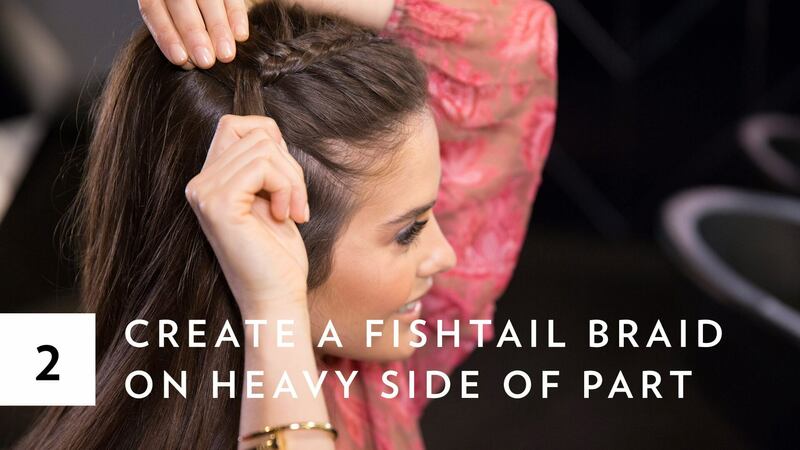 And for all you intermediate-levelers, we also include a fishtail mermaid braid video tutorial via blogger Paola Alberdi at the second part of this post for a true trend mashup for the books. 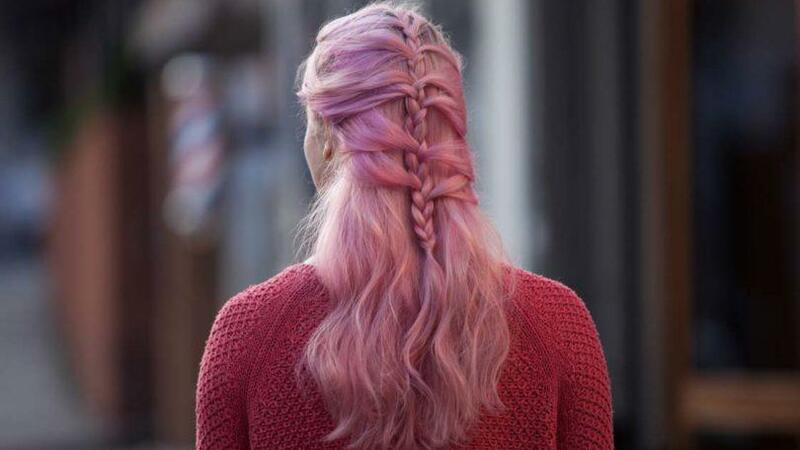 Nothing gets you prettier in pink than hair that gleams. Highlight your Pinteresty color by washing hair with Dove Radiant Shine Shampoo and Dove Radiant Shine Conditioner to maximize shine and smoothness. Afterwards, towel-dry and prep with a conditioning thermal protectant, like Nexxus New York Salon Care Promend Heat Protecting Mist, before drying with a blowdryer. Section off the crown and start braiding. Leave the hairline (or your bang area) free, and loosely pinch sections from your crown. Start a regular three-strand braid, continuing for around 3 chain links, before incorporating new sections from alternating sides. Continue braiding halfway downwards, and finish off the braid with a regular three-strand plait till the ends. Secure with a hair tie. Finish ends with shine spray. For extra light-reflective (and Instagram filter-friendly) tresses, coat ends with a serum, such as TRESemmé Keratin Smooth Shine Serum. Curl ends around your fingers to create a fun, last-minute bend on the tips. Done! For best results with a smooth finish, opt for washing hair with TRESemmé Smooth & Silky Shampoo followed by TRESemmé Smooth & Silky Conditioner. To begin creating your fishtail braid, apply TRESemmé TRES Two Extra Firm Control Mousse for maximum hold and control to clean, damp hair and work it through your strands. 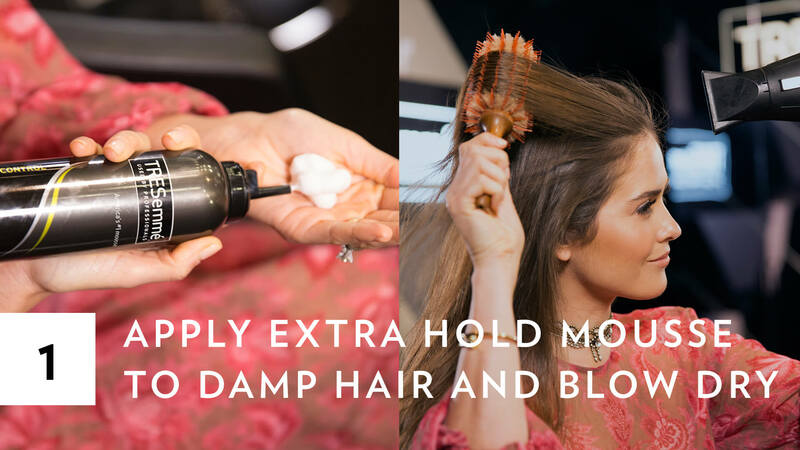 Use a round boar-bristled brush to blow-dry. Step 2: Create your braid. Part hair on one side using your hands or the tail of a comb, then begin to create a fishtail braid on one side. No need for a perfect hair parting, as this look is meant to feel effortless. Be sure there’s enough hair on the side you choose to create your braid to ensure you end up with a chic and chunky plait. If you need help with this step, you can check out this simple fishtail braid tutorial. Step 3: Tug your links apart. Using the pancake method, gently pull the edges of your fishtail to expand and create a fuller look. Picturing mermaid fins can help you create the look, which is full at the top and which gradually gets narrower and thinner towards the end. Step 4: Wear it out! Loved this mermaid braid? Check out more braided hairstyle ideas.